This website is for anyone who is interested in Cambridge team racing, sailing, windsurfing, kitesurfing. You may be a prospective, current, or past student, or a member of the University. Or you may be a current or past member of the Cambridge University Cruising Club (CUCrC). Use the site to keep in touch with Cambridge University student and alumni team racing, sailing, windsurfing, kitesurfing. Club sailing takes place in boats of 30 feet in length or under. Yachting, ‘big boat’ stuff in craft over 24 feet in length, is the province of the CU Yacht Club. And we get together in the overlap! Head for the Students section if you are interested in learning about our activities, booking a trip or other event, or joining the Club. This section also covers arrangements for postdoctoral students, University staff, and others. Click To Join The Club Now! 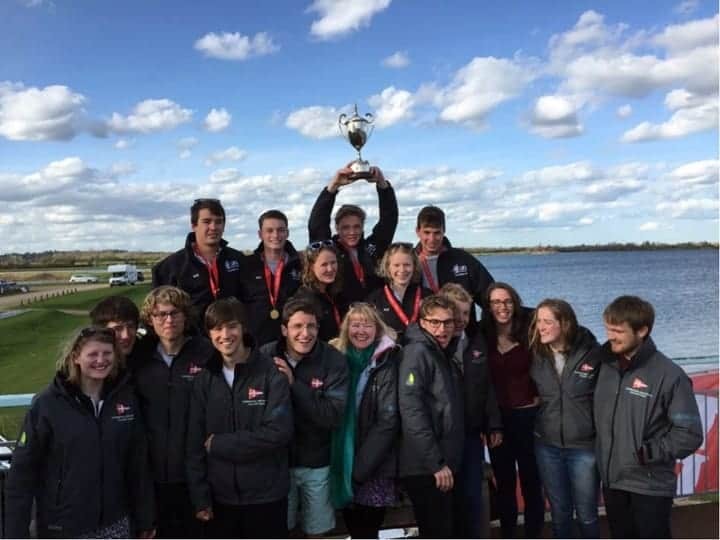 Visit the Alumni section if you have left the University but would like to stay in touch with Cambridge team racing, sailing, windsurfing, kitesurfing. Head for the Club Admin section if you need to know details of the Club’s officers or regulations. Visit the Contact Us page to to raise a query or register to receive emails from us. Put Wednesday 10th October 6-9pm at Magdalene Bar in Your Diary – That’s Our Squash! Taster Weekend is 6/7th October. The right-hand column lists the latest items of news and comment. Use this link to view the latest alumni newsletter. Access earlier newsletters via the category index on the Site Index page. View up to 40 CUCrC and member news items via the ‘News’ menu item at the top of this page. Access earlier Cambridge team racing, sailing, windsurfing, kitesurfing news items via the date index on the Site Index page. Use the search box at the top of the right-hand column to search news items on title, content, or person. The search function is particularly useful for finding teams and people in photographs. The history of Cambridge sailing (since 1893) team racing (since 1913), windsurfing (since 1978), and kitesurfing (since 2018) is indexed by the History menu item at the top of this page. Congratulate people on their successes, or make a comment, by using the ‘Leave a Comment’ box at the bottom of each news item. Respond to other people’s comments by using the ‘Reply’ link below their comment. Contributions are moderated before being published. Alumni – please submit news of your own and others’ activities for publication. Send it to the Webmaster via the Contact Us page. Any alumni news is of interest, and photographs are particularly welcome. Please also let us have any changes to your contact details – particularly email address.